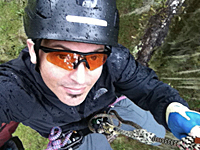 Canopy Climbers LLC - Experience The Adventure of Recreational Tree Climbing. We'll teach you how. Canopy Climbers is an award-winning recreational tree-climbing school. We teach people how to safely climb trees, utilizing technical gear and arborist rope-techniques, so they can uniquely CONNECT with trees, nature and each other. Canopy Climbers is the recipient of the Star Green Business Award, presented to us by the City of Gainesville for promoting safe and sustainable tree-climbing activities in our local parks. We were recognized especially for protecting the trees in which we climb, while promoting the responsible enjoyment of our beautiful local parks. CLICK HERE for more about our Star Green Business Award. We also give back 10% of our income to help maintain, beautify and protect the parks in which we climb, so future generations can enjoy our enchanting parks as we do today. PLEASE NOTE: We no longer offer 2-hour "Canopy Climbs," as we are focusing on our passion to teach people how to technically climb trees. We offer a 2-day Basic Tree Climbing Course (BTCC), a 2-day Advanced Course and a 1-day "HitchClimber" Course. We require our BTCC students be at least 18 years of age, given the physical and mental demands the course requires. We climb trees to create and nurture an essential human connection with trees, forests, nature and each other. Tree climbing offers a unique pathway to empowerment and inspiration for the hearts and minds of those who adventure up and into the forest canopy. Virtually anyone can climb trees. We use a tree-friendly, sustainable "rope and saddle" arborist climbing method to ascend and explore the forest canopy. Our user-friendly climbing system is proven safe for people and trees too, and makes it relatively easy to climb into the treetops. PLEASE NOTE: It's pretty obvious that when we climb trees, we are defying gravity. We believe any healthy person can climb trees with our user-friendly climbing system. But everyone is different. Defying gravity takes a distinct level of effort. If you have any ongoing health issues or injuries, please consult your doctor before booking a climb with us. Some folks feel it's fairly easy to climb trees with us, while some feel it is a very strenuous activity. But no doubt, climbing trees gives everyone a sense of accomplishment, empowerment and connection with nature. Climbing a rope into the top of a tree is an "adventure-workout." And that’s why so many people enjoy doing it. Your personal experience will depend on your level of power, weight and fitness, also known as the "power-to-weight ratio." Since 2011, we've guided over 1200 climbers into the trees and virtually a 100% of the participants, of all ages and abilities, enjoyed a successful climb. Our climbing system is user friendly, intuitive and engages our legs mostly, for efficient ergonomics. There is also an inherent 2 to 1 "mechanical advantage" built into our rope-climbing system. That's a fancy way of saying you don't have to hoist your entire body weight up the climbing system. The system actually reduces your effort in half, kind of like a gear on a bicycle. And when you want to take a break from your ascent, you can simply let go of the rope and the system holds you in place, no effort required. This website is quite informative regarding recreational tree climbing. Please carefully read it over to learn about our tree-climbing courses. PLEASE CLICK HERE TO READ OUR POLICY PAGE, ESPECIALLY THE POLICIES REGARDING CANCELLATIONS AND RESCHEDULING. Lastly, Canopy Climbers is required to give our local municipalities (the owners of the beautiful local parks in which we climb) at least five (5) days notice to climb trees on premises. We cannot book a course any sooner than that. We regret any inconvenience this may cause, but we must respectfully follow their rules. Feel free to email us with any other questions you may have. Want to safely climb big trees on your own? We'll teach you how. 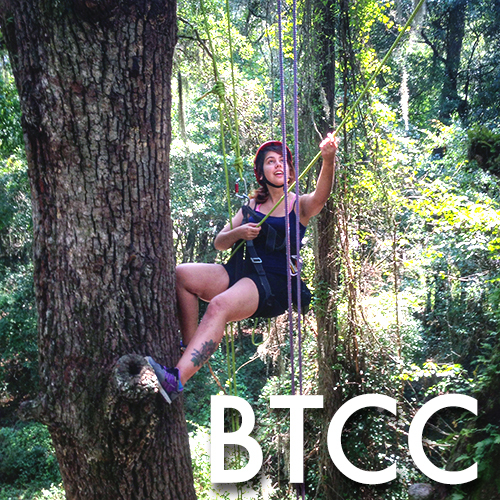 Take the Basic Tree Climbing Course (BTCC) in Gainesville with TCI-trained Instructor, Danny Lyons. Become proficient at the safe, tree-friendly, traditional Doubled Rope Technique (DRT) arborist climbing system. The BTCC provides the necessary bedrock of tree-climbing knowledge and practices for anyone who climbs trees. It is designed to teach you the necessary skills to safely climb trees using the DRT arborist climbing methods. 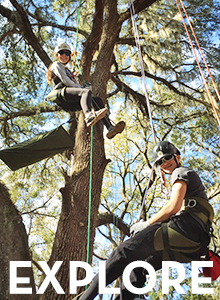 Students learn how to "mobilize" in the treetops, by developing the skill set to climb through the crown of a tree, upwards, downwards and horizontally. This course is ideal for recreational adventurers, canopy researchers or anyone else who wishes to safely access the treetops and the forest canopy. No previous tree-climbing experience is required to take the BTCC. We are thankful that the City of Gainesville and Alachua County has granted Canopy Climbers permission to provide tree-climbing events in selected local parks. 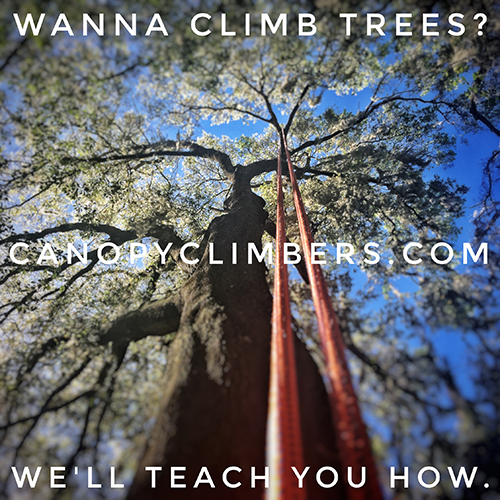 Come climb trees with us, year-round, and enjoy the natural beauty and outdoor adventure found only in North Central Florida.